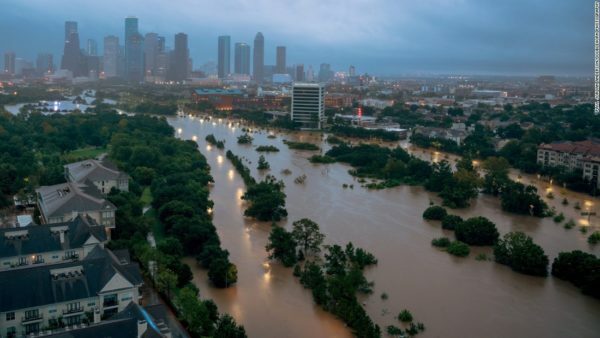 Extreme weather is not the reason behind disasters such as the catastrophic flooding following Hurricane Harvey that hit Houston in August 2017. The blame should rather go to poor urban planning. This is the opinion of disaster expert Ilan Kelman on Dezeen. According to Kelman, Hurricane Harvey was a major storm with extensive rainfall. It was not a natural disaster. The disaster was caused by human decisions to live in a hurricane zone without taking measures. Kelman argues that a lot could have been done in the years preceding the disaster to manage it, including not building in a floodplain. The article states that siting, land use, and zoning “have long been lax around Houston”. With regards to floodplains, he said much can be done in terms of planning to better manage storms such as Hurricane Harvey. This include the use of permeable surfaces for roads and parking lots. The water then soaks through to the ground rather than immediately running off to the low points. Another big difference can be made by ensuring good public transport. This will mean less need for parking areas. The hard surfaces created for roads and parking keep water from penetrating the ground and contributes to water build-up, exacerbating flooding. More green space will also help to relay the excess water. Other ways to prepare for extreme weather, is by implementing and adhering to building codes.